UPDATE: A representative for Lindsay Lohan gave a statement to CNN on Friday, October 14, about the past comments. "Right now, Lindsay is choosing to focus on the positive things happening in her life and has decided to disregard the comments made about her by Presidential nominee Donald Trump," the statement read. "She is focusing on helping children around the world in need and that&apos;s where her passion is." ORIGINAL STORY: Donald Trump spoke crudely not just about his eldest daughter, Ivanka Trump, on The Howard Stern Show. 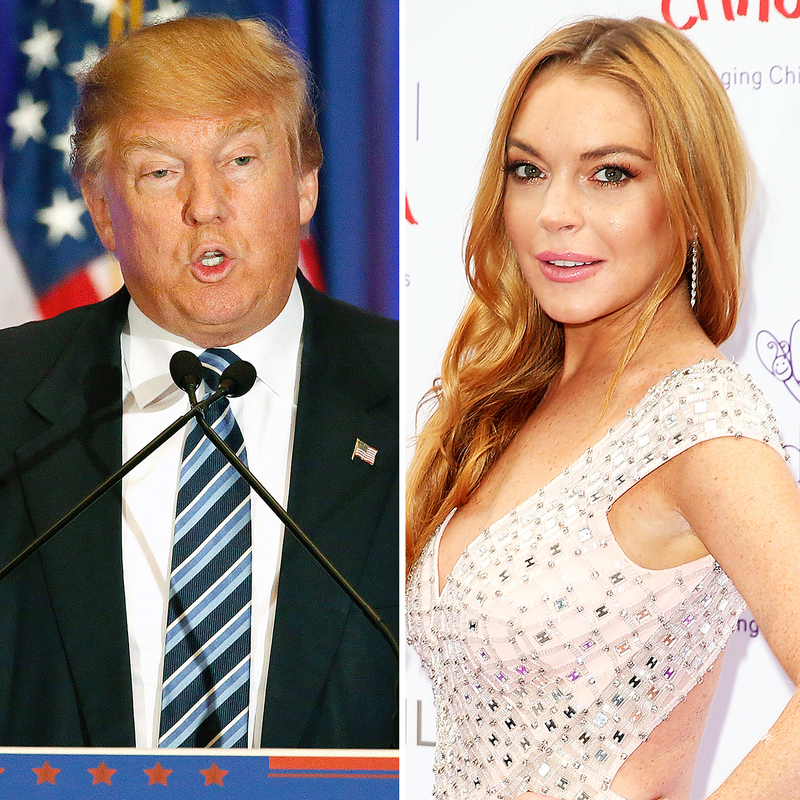 Back in 2004, the GOP presidential candidate, 70, gave his two cents about Lindsay Lohan, who is four years younger than Ivanka. “What do you think of Lindsay Lohan?” Trump asked Stern, 62, during the interview, which was unearthed by CNN. Despite Stern calling Lohan “troubled” in 2004, the actress’ first stint in rehab was at the Wonderland Treatment Center in L.A. in January 2007. “Is there nothing she could do to get back in your good graces? If she came in and blew you?” Stern asked Trump about the comedian. Listen to Trump’s interview about Lohan in the video above.